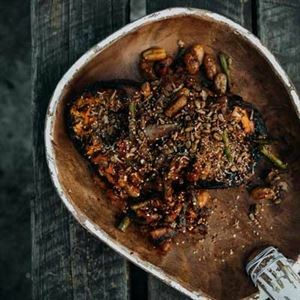 "The stone fruits need a few minutes to caramelise in a hot oven, but really this is a very simple, sunny plate of food, consisting of beautiful, complementary ingredients. Salted ricotta, or ricotta salata as it's sometimes known, is a pressed salted sheeps cheese that I use to naturally season the dish. If you can't ?nd it, other hard, salty cheeses will work nicely too. Please don't be tempted to skip the stage of toasting the fennel seeds; crushed with peppercorns and lemon zest, they add a subtle, aromatic crunch to the leaves." - Jessica Elliott Dennison. Parmesan, Manchego, pecorino, halloumi or buffalo mozzarella. Rocket, pea shoots or dandelion greens. Cumin seeds or coriander seeds. 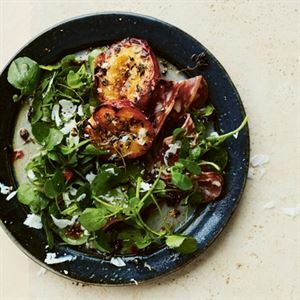 You can also roast nectarines or peaches like this to make a fantastic dessert. Just switch the oil for a drizzle of honey then spoon over thick natural yoghurt and a scattering of crushed amaretti biscuits. 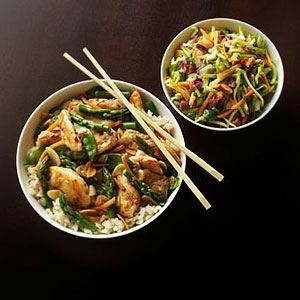 So easy but ridiculously good. First, preheat the oven to 200°C and line a roasting tray with baking paper. Place the nectarines cut side up in the tray and scatter over the thyme leaves. Drizzle over 1 tablespoon of the oil then roast for 30 minutes or until soft and beginning to catch and char at the edges. Set aside in the tray to cool slightly. 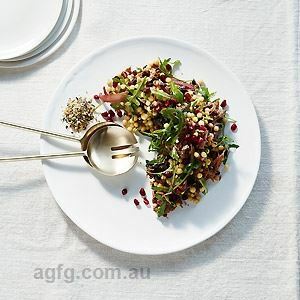 Meanwhile, toast the fennel seeds in a frying pan over a high heat for 2–3 minutes to release their natural oils. Transfer to a chopping board then crush and finely chop with the peppercorns. Finely zest over half the lemon then set aside. Next, wash the watercress in a basin of cold water, pat dry then add to a large mixing bowl. Drizzle in the remaining oil plus the juice of half the lemon. Use your hands to toss the leaves, ensuring each leaf is nicely coated. Have a taste; you may want to add more lemon juice (keep in mind that the acidity will cut nicely through the rich, sweet fruit). Divide the dressed watercress between four plates, place the nectarine halves on top and arrange the salami alongside (it looks nice if you sit the salami in waves rather than flat on the plates). Finely grate or shave over the ricotta then sprinkle over the crushed fennel seed mixture. Spoon any remaining tray juices over the leaves then serve immediately with the bread to mop up the delicious roasting juices. 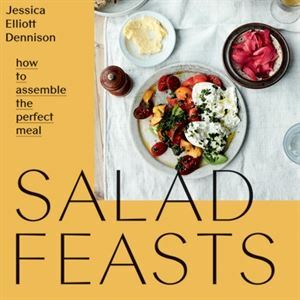 Credits: This is an edited extract from Salad Feasts by Jessica Elliott Dennison published by Hardie Grant Books RRP $29.99 and is available in stores nationally.